Kafka, however, sticks close to conversation and can’t take the leap because, as I suggested, Kafka’s comedy, the comedy of the schlemiel evinces a sad kind of laugther. And, unlike Nietzsche, whose lover and companion is the wind, Kafka envisions several “nobodies” (several schlemiels) as companions. 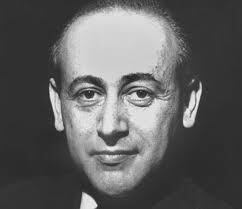 John Felstiner, in his book Paul Celan: Poet, Survivor, Jew, suggests that Paul Celan may have been inspired by Kafka’s piece. But he also suggests a few other “influences.” I’d like to follow up all of his suggestions because, of them, Felstener follows only one thread which deals solely with the type of language used in this conversation. And it is this reading which is in need of critique. For Felstener, the way the Jews speak in Celan’s “Conversation in the Mountains” is thought of as evincing a kind of falleness and shame which eschews the comic in the name of the tragic. While it is important to mention the possibility that Celan thought of a certain way of speaking as “fallen” and shameful, the fact of that matter is that this displaces the comic aspect of the conversation and misses the schlemiel that is at the core of it. Before I address this reading, I’d like to lay out the influences brought together by Felstiner. They are suggestive and can help us to understand his reading. Another influence may have been the bastardization of Nietzsche’s Ubermensch (overman) by the Nazis. He correctly notes that Celan wrote “Conversation in the Mountains” in Sils Maria where Nietzsche wrote must of his work (including the poem I cited in the last blog entry). As evidence, he points out that Celan inscribed a copy of his story: “In memory of Sils Maria and Friedrich Nietzsche, who – as you know – wanted to have anti-Semites shot”(140) Although he points this out, he takes it no further. But was Celan looking to redeem the overman, as Felstiner suggests? Do we see an overman in “Conversation in the Mountains?” To the contrary, following the contrast I put forth above and in the last blog entry, I would argue that there is nothing resembling the overman in not just Kafka’s “Excursion in the Mountains” but in Celan’s “Conversation in the Mountains” as well. In fact, while Celan may respect Nietzsche’s anti anti-Semitism, he didn’t respect his overman. The schlemiels he features in “Conversation in the Mountains” are the anti-thesis of the overman. They are humble, comic, and their talk is not that of song. Without a doubt, their speech doesn’t transcend suffering and tragedy as the laugh of Zarathustra does. As I noted above and as I will note with Celan, it is speech that they share, not song. Speech is the limit. Another influence comes from Georg Buchner (1813-37). Namely, his novella entitled Lenz. According to Felstiner, the line that grabs Celan is “On the 20th of January Lenz went walking through the mountains.” He gathers this from Celan’s “Meridian” speech where Celan notes that Lenz and his own “’little story’ with its ‘roundabout paths form thou to thou…paths on which language gets a voice, these are encounters.’”(140). Building on the “thou” that he cites above, Felstiner brings in Martin Buber as another possible influence: “Above all, “Gesprach im Gebrig” owes to Martin Buber, whose philosophical writings and retellings of Hasidic tales Celan was reading during the late 1950s.” Buber actually wrote a piece with a similar title: “Buber’s “Gesprach in den Bergen” (“Conversation in the Mountains,” 1913) expounds the I-thou encounter that concerned Celan”(140). On his birthday in 1959, Celan bought a book about Buber and underscored his speech philosophy: “Creatures stand within the secret of Creation, of Speech…We can say thou, because thou is said to us.” And this: “Spirit is not in the I, but between I and Thou”(140). The final influence Felstener names is the poet Osip Mandelshtam. He notes that in Mandelshtam’s essay “On the Interlocutor,” Celan found the notion that poetry is the “search for an other and oneself”(141). Citing, once again, the “Meridian” speech Felstener argues that Celan took Mandelshtam seriously since Celan says that, through language, he was “on the way” to himself. The point of all of Felstiner’s notes on what may or may not have influenced Celan’s can be found in this last influence; namely, that Celan was looking to go through language “on the way” to himself. And this is the point. The language Celan wanted to go through, according to Felstiner, is Mausheln (the German Yiddish dialect that was thought, by cultured Germans and German Jews, to be shameful and, as the German word suggests, Mouselike). The “babbling” of Celan’s Jews is a comedown – via the cataclysm that ruined Benjamin – from God Given speech. This talk of theirs, its halting double back, dividing and divided against itself, like the self it speaks…Sometimes in the dialogue you catch the shrug behind it, elusive yet vital. Celan said the “Gesprach” was “actually a Mauscheln” between him and Adorno – that is, a sort of jabber that Germans overhear between Jews, Mauscheln being an old slur coined from Moishe, Moses. This elusive “shrug,” I would suggest, is the shrug of the schlemiel. For Felstiner, it has a negative valance. To be sure, in the footnote to this passage Felstiner cites the work of Sander Gilman; namely, Jewish Self-Hatred: Anti-Semitism and the Hidden Language of the Jews. In this book, as in his book on Franz Kafka (Franz Kafka, The Jewish Patient), Gilman points out how Jews were ashamed of themselves and internalized hatred because of what the Germans regarded as their “secret language” (Yiddish). 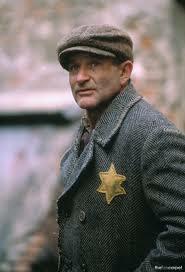 The Yiddish dialect was, for many German Jews, a source of shame. Taking this reading to heart, Felstiner argues that Celan was no different from many assimilated Jews who looked to eliminate all traces of Mausheln from their speech. Therefore, for Felstiner, “Conversation in the Mountains,” is an attempt to move through Mausheln – a fallen language – to a pure language. By making this reading, Felstiner gives Celan’s comic dialogue between two schlemiels a negative valence. What I would like to suggest is that we read the comic dialogue in a less negative manner. In fact, Celan, like Kafka, deeply identifies with this conversation not in the sense that he wants to leave it behind but in the sense that it is a way of relating to alterity. Without this language, without this comic relationship between schlemiels, Jews would not know the limit (threshold) between conversation and song. Why, after all, would Yiddish writers continually return to the schlemiel and his comic way of conversing? Did they do this because they despised Mausheln? What I would like to suggest is that, in a piece like “Conversation in the Mountains,” Celan didn’t despise his Yiddish roots as much as Felstiner would have us believe. Fesltiner is correct to note that German was the preferred language in Romania. And that it was Celan’s “mother tongue.” However, Felstiner also notes that Celan knew Yiddish, Yiddish folklore, and humor as a child. And notes that at one time he even defended Yiddish to classmates when they made fun of it saying that the classics were translated into Yiddish. But, ultimately, Felstiner goes with the historical and cultural reading of the relationship of the German Jew to the Ostjude (Eastern European Jew) as informing the dialect play in Conversation. Contrary to this, I’d suggest, as Julian Semilan and Sanda Agalidi do in the introduction to their translation to Paul Celan’s Romanian Poems that Celan looked to alter German with a “minor” language (for them his translation work in Romanian). This, they claim, had some influence on his nuanced treatment of German. And, most importantly, we should note that Celan’s “Conversation in the Mountains” was written after his stay in Romania following the Holocaust. We can see from “Conversation in the Mountains,” that he respected and understood the foolish and wise ways of Yiddish folklore and that he used them to introduce a Jewish element into the German. This comic play had a positive valance and puts an emphasis on Jewish particularity. He had a sense of Yiddish ways of speaking and in “Conversation in the Mountains,” he spoke through them. But he spoke not in order to transcend these ways but to, on the contrary, retain the limit between speech and song. This limit is something that the schlemiel’s ways of speaking and gesturing marked. The fact that speak and don’t sing, as in Kafka’s “Excursion in the Mountains,” marks this Jewish particularity which is acutely aware of suffering, history, and difference. It is this kind of speech that lives on for Celan after the Holocaust. It survives on the way to himself and the other. It is not totally destroyed. His way to himself and to the other, at least in “Conversation in the Mountains,” is by way of these two schlemiels: Klein and Gross. In other words, the schlemiel and his ways of conversation are not things Celan wants to leave behind. The schlemiel remains…speaking…of this…and of that….with a shrug that is, as Felstiner correctly notes “elusive and vital.” But unlike Felstiner, I’d like to say that this “elusive and vital” shrug, this gesture, has a positive valence and works as much to preserve something Jewish while, at the same time, altering the German language.